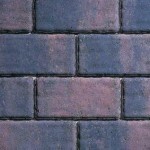 Block Paving Prices. 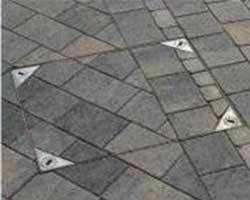 Fast online paving quotes. We can provide you with competitive block paving quotations from a database of authorised paving installation companies around the UK. Whether you are looking to renew your driveway, patio, footpath or playground, this service is completely FREE. 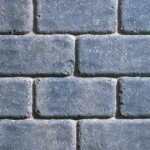 Complete the online form TODAY to save money on block paving with Paving Prices. A visitor’s first impression of your home begins with your driveway. And with such a wide range of block paving products, colours, textures and layouts you can be sure that your new block paving driveway will create an attractive yet practical surface to compliment your home and garden. 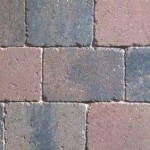 Block Paving is one of the most popular choices with householders for driveways and patio areas and Block Paving Prices will provide you with quotes from block paving companies around the UK. Simply complete the form on this page of our website and we will trawl our database for the best block paving prices for you. Although each block paving manufacturer has its own unique range of products with well protected designs and patents, types of paving tend to fall into groups according to their size, shape and texture. 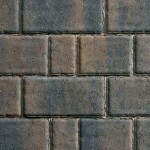 And in any well designed driveway or patio, contrasting blocks are often used to create the overall impact. Different coloured blocks used for the border of a driveway or as a feature inlay in a garden or patio area can make all the difference between a plain surface and a stunning one. To complement the different types of block paving, most manufacturers also offer a range of matching kerbs, edge restraints and drainage products. Standard blocks, which are 200 mm x 100 mm, offers four main laying patterns to choose from and most other designs are a version of these. The layout pattern you choose can be determined by the shape and size of your driveway or patio area as well as personal choice and the effect you wish to create. For example, straight driveways with parallel borders may be better suited to the basket weave or stretcher bond layout whilst shaped areas would look better with one of the herringbone styles. Many of our block paving installers use computer software to generate a layout design specifically for the shape and size of your new block paved driveway. And remember, your new driveway does not have to follow the shape of the existing one. You may choose to create another parking space, change a straight driveway into a curved one, introduce planting areas or add a footpath to a side entrance to your home. Our installers will discuss your requirements in details so that they can suggest a number of options for the layout of your new driveway or patio and offer you the best possible block paving prices. The installation of block paving for patios, driveways and commercial areas will differ according to the type of traffic it is expected to take. Pedestrian only traffic in a garden will not require the same heavy duty blocks that a driveway will need. Equally, if a commercial contractor is to install block paving in a car park which will suffer fairly heavy traffic use, the installation process will be different again. Hand laid blocks on 100 mm of stone may be good enough for your back garden but a block paved road may well be machine laid on a much thicker sub-base. 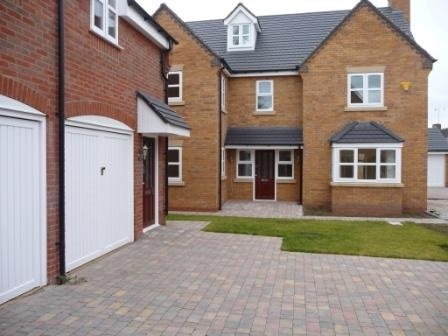 We will concentrate on the recommended specification for installing block paving on a domestic driveway as that will probably be of more use to the majority of visitors to this website. The design of your driveway should be given lots of thought because it’s likely you only intend to do this once. You should consider the shape of the driveway, do you need additional parking? A separate footpath for a side entrance? What about steps or ramps? Shaped planting areas to improve the appearance of the front of your home? Would you prefer a curved area instead of the basic one the builder put their when the house was constructed? What about drainage? Does the driveway slope towards the house or away from it? Are there any manholes to cover up? Will you need kerb edging to support a lawn area? Do you have any prized trees or shrubs that you would like to make a feature of with a circular planting area? And not least, what size blocks, their colour, texture and layout pattern? All the same type of block or contrasting sizes and colours? 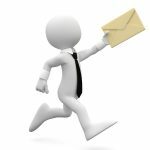 You should start with a blank sheet of paper and not be restrained by the design of your existing driveway and front garden. Better still, our authorised installers will often recommend using block paving manufacturer’s computer software to generate a unique design for your new driveway. Some companies even allow you to create photo-realistic images of the finished block paving driveway superimposed onto a photograph of your home. A computer-generated layout for your new block paving driveway may also provide your installer with materials quantities. Before your paving installer excavates the driveway and front garden, you should agree the area and mark it out with a string line or line marker spray. This way you’ll avoid any expensive mistakes. It’s also a good time to identify any prized trees or shrubs and perhaps move some plants to safer areas. When excavating a driveway, care should be taken about any gas or water pipes and cables You wouldn’t want to damage these with a mini-digger. The area should be excavated to the required depth, taking into account the thickness of the sub-base, the blocks and ensuring that the finished surface is at least 150 mm below the damp proof membrane on your house. In a standard block paving driveway, the depth of excavation should be between 180 mm and 250 mm deep. This would allow for 100 mm to 150 mm of compacted stone sub-base, 30 mm to 50 mm layer of compacted sharp sand and blocks at least 50 mm thick. 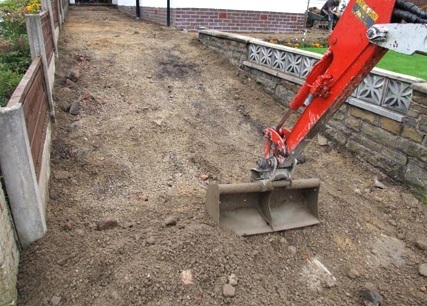 You should also ensure that your paving contractor intends remove all spoil from site. Installing kerbs or edging around a block paving driveway is not always necessary as it for a tarmac driveway which can break around edges under the weight of a car. However, the outer blocks next to any soft landscaped area should always be concreted into position and haunched on the outside to prevent them falling away from the main block paving driveway. 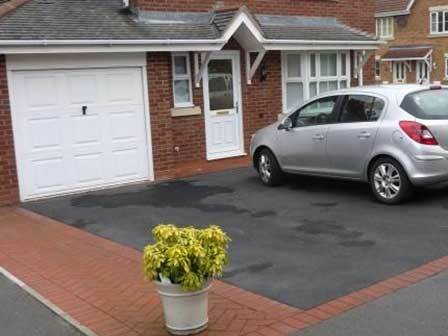 Often, raised kerbs are required where there is a difference in levels between the driveway and your lawn or garden. After the area has been excavated but before the stone sub-base is laid and compacted, underground drainage systems should be installed to deal with surface rainwater. The positioning of drainage systems should have been decided in the design and planning stage and is determined by the slope of the driveway. Aco drains (as shown in the image); open gullies, pipe work and soakaways should all be installed prior to the stone sub-base. With all driveway installations, preparation of the stone sub-base is as important as any other part of the job. An unstable sub-base with insufficient stone, or not compacted sufficiently will eventually result in an uneven driveway. Not only will it look bad, it will hold water, encourage weed growth and be a health and safety hazard. The depth of the stone sub-base should be between 100 mm and 150 mm and depend on the firmness of the sub-strata of ground once the area has been excavated. A geo-textile membrane can be installed where there is a danger of the stone sub-base material migrating into the ground below (this can cause the block paving driveway to sink) or where there is a threat of severe weed growth in the surrounding area. The most common type of stone sub-base will be Type 1 MOT road stone. String lines are used to mark the proposed finished level of the stone; it is raked level and then compacted with a vibrating plate. Ideally this should be done in layers, rather in one go, to ensure that the stone is properly compacted. Once the stone sub-base has been compacted and levelled, a sand screed 30 mm to 50 mm thick should be laid, raked and compacted over it. The sand screed, which consists of sharp sand, should be slightly damp otherwise it will not compact effectively. Another layer of sand should be laid over the damp screed and then levelled. The block will be laid on the final layer of screed. The blocks are normally delivered in packs on wooden pallets and before laying them it is wise to check that they are all from the same manufacturing batch otherwise there could be colour differences. Even so, a professional block paving contractor will always mix and use blocks from at least two or three packs at the same time in order to minimise slight colour changes across the paved surface. When installing block paving in a multi-blend of colours, failing to mix them up prior to laying can result in a patch work quilt effect with particular colours concentrated in some areas. If the driveway slopes, you should start laying the blocks from the bottom and work up hill to keep them tightly fitted. It is also best to start from a straight edge or a 90º corner so that no cuts are required. When positioning individual blocks, they should be lowered on the sand screed vertically to avoid indenting the sand otherwise the block will not sit level with those around it. 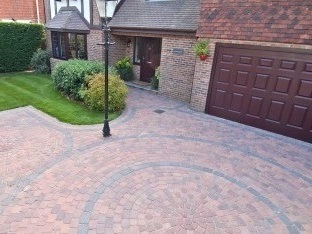 Most block paving driveways and patio areas will look better with a border in a contrasting colour, size or texture. Most new block paving driveways will require blocks to be cut to size to fit inside the kerbs or edging blocks. Blocks should be cut with a block splitter or a diamond disc stone saw. Once all of the blocks have been laid, all debris on the newly paved surface should be cleared off and the surface swept clean. Kiln dried sand, also known as silica sand is spread over the surface and swept into the joints between the blocks. The block paving area should then be compacted with a vibrating plate to firm the surface up. This procedure should be repeated several times with more sand applied and the blocks compacted again until all the joints are filled with sand and the block paved surface is well compacted. Excess sand should be removed from the surface. If block paving had more disadvantages than advantages, it wouldn’t be as popular as it is but that doesn’t mean that it is necessarily the right type of paving for your driveway or patio area. However, since most of the disadvantages of block paving can be alleviated by installing it correctly, it is an ideal type of paving for many homes. 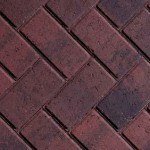 Block paving is available in a wide variety of colours, shapes, sizes and textures. Blocks are more attractive than a plain concrete or tarmac driveway. There are many design possibilities with block paving. 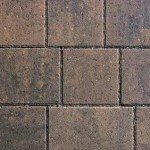 Block paving is relatively inexpensive compared to some other forms of paving. If block paving is damaged or stained, individual blocks can be lifted out and replaced with new blocks. 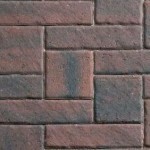 Block paving is a manufactured product rather than natural and as such tends to be uniform and accurately sized. Because a block paving driveway, by its very nature, is made up of many individual blocks, weeds and moss can grow between them. A badly prepared sub-base will normally result in the block paving sinking in high use areas where cars are driven and parked. Block paving which has been designed to resemble natural stone products such as setts and cobbles can be expensive. Unless kerbs or edge restraints are properly concreted into position to support the block paving driveway, blocks on the edges can fall away, opening up gaps. The colour of block paving can fade over time due to the effects of ultra violet light form the sun. No expensive machinery is required to install a domestic block paving driveway or patio area and as a result many installers are individuals working from home. This can give rise to warranties not being honoured. Also, the low set up costs of starting a block paving installation business can attract inexperienced and unqualified paving installers into the industry. One particular disadvantage of block paving deserves to be dealt with individually and that is efflorescence, the white dusty patches which can form on the surface. Efflorescence, or white bloom as it is sometimes referred to, is actually calcium carbonate which can appear naturally on all cement based products early in their life. It tends to disappear when it becomes wet but almost always returns as the blocks dry. Many customers who have recently had a block paving driveway installed will complain about the appearance of efflorescence, as though it was a fault in the manufacture of the blocks. It is however, a natural phenomenon and it should disappear completely over time. 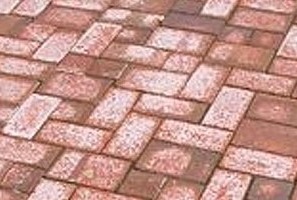 What causes efflorescence on block paving? Cement, which is used in the manufacture of concrete block paving contains lime or calcium dioxide, which is soluble in water. When the surface of your block paving driveway gets wet some of this calcium dioxide dissolves to forms calcium hydroxide, which when suspended in water is referred to as the milk of lime. When the block paving dries the suspended particles of calcium hydroxide rise to the surface of the blocks. Here it reacts with carbon dioxide in the air to form calcium carbonate, the dusty white powder. Eventually this chemical process slows down and stops as all of the lime near to the surface of the blocks has been used up, or the tiny pores in the paving become blocked up. Efflorescence will then stop forming and any residue will be washed away. Cleaning agents are available to remove efflorescence from the surface of block paving but this tends only to be a temporary solution. 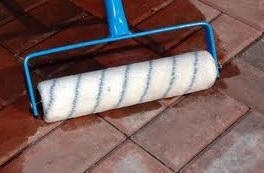 The best way to remove efflorescence from block paving is by allowing time for the chemical process to run its course. 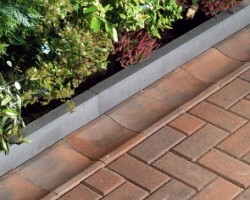 Many block paving manufacturers have introduced a range of permeable block paving in response to the introduction of Sustainable Urban Drainage Systems legislation, known commonly as SUDS. SUDS legislation was introduced by the Government to control the conversion of porous gardens into non-porous parking spaces which can increase the risk of localised flooding. Porous surfaces such as grass and gravel allow rainwater to be absorbed into the ground slowly, whereas non-porous surfaces such as concrete or tarmac direct rainwater into drainage systems which, after heavy rain may not be able to cope. The increase in the number of cars on our roads together with parking restrictions introduced by local authorities has resulted in many homeowners paving over their front gardens to provide additional parking spaces. Traditionally, paving products such as block paving, tarmac and concrete are non-permeable and surface rainwater has to be directed into drainage systems; often old Victorian drainage systems which weren’t designed to cope with the density of housing we have in towns and cities today. SUDS legislation introduced the requirement for porous paving to be used in these cases and as a result permeable block paving and permeable tarmac products have been introduced. How do permeable block paving differ from ordinary blocks? 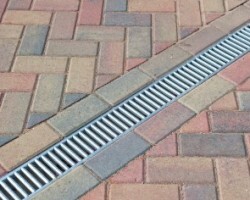 Is permeable block paving expensive? 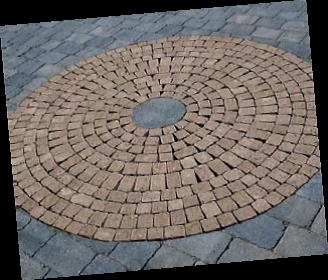 Blocks used in permeable block paving driveways are identical to ordinary blocks on the surface but they have revised partial spacer nibs around the side so that the gaps between individual blocks on your driveway are slightly larger. 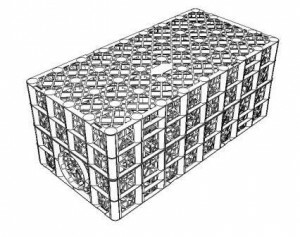 This allows more rainwater to filter through to the sub-base below and less water into drainage systems. For permeable block paving to be effective the sub-base needs to be deeper and constructed with open-graded stone. This means that although the sub-base is firm, there are gaps between the stones to create a reservoir space in which to store the water. After heavy rain, the rainwater will make its way between the blocks and slowly to the ground rather than quickly into surface drainage systems which may not be able to cope. 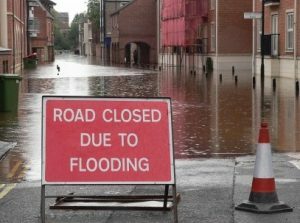 When drainage systems can’t cope with the volume of water being directed into them, they overflow and cause localised flooding. When a large area is to be paved with permeable block paving there is an opportunity to collect the water which is stored in the sub-base and use it again. Rainwater harvesting systems can be built into the sub-base so that rainwater can be collected and used for car washing, watering the garden on dry days or even flushing the toilet. 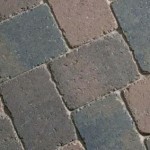 The main differences between an ordinary block paving driveway and a permeable block paving driveway are the blocks themselves and the sub-base. 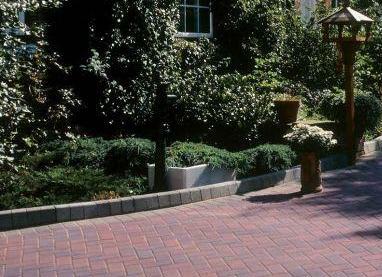 The cost of a permeable block paving driveway can be between 20% and 50% more than a traditional one. Although there is slightly more material in a permeable block than a standard one due to the nib spacers on the side the effect of this is minimal. However, the blocks are currently more expensive to make mainly because far fewer are manufactured, so they don’t have the economies of scale advantage that standard blocks have. In time though, this could change and the cost of the blocks should be much nearer to standard blocks. The main reason for the greater cost is the construction of the sub-base which needs to be much deeper to hold surface rainwater. This means more of the ground has to be excavated and more sub-base material laid. If rainwater harvesting systems are also installed, this will increase the overall cost of the permeable block paving driveway further. The surface of block paving driveways and patios will fade over time; they attract moss and weeds and can stain. 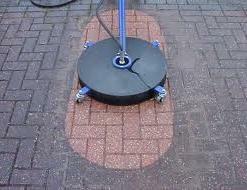 However block paving can be cleaned and restored to an almost new condition. Specialist tools are available to remove moss and weeds from between the blocks and this should be carried out at least once a year. It helps if the area is also re-sanded as this can restrict weeds from growing in the gaps. Although block paving driveways can be cleaned with a pressure washer, care should be taken not to damage the surface of the blocks, especially as they age. 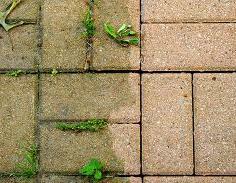 A pressure washer will almost certainly remove sand from the joints between blocks and unless this is replaced it will be easier for weeds to become established. Although there are many products available at DIY stores to help clean and seal block paving but a better result can be achieved by employing a specialist who will normally have access to stronger cleaning materials and the right tools for the job. Once your block paving driveway has been properly cleaned and allowed to dry, a sealant can be applied which will help to protect the surface and maintain the appearance for longer. Water-based sealants are often no more than a colour enhancer and probably need to be applied every year or so. Urethane sealants may be more expensive but they penetrate the surface of the blocks to help repel oil and reduce staining. 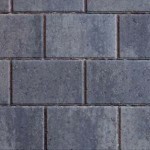 Concrete block paving is just as popular in a commercial environment as it is in a domestic one. However, the blocks will be much thicker and the sub-base more substantial to take extra weight and offer more durability. In a commercial context, concrete block paving is used for pavements, shopping precincts, roads (particularly in cul-de-sacs) and car parks. Block paving is also commonly used to differentiate different usage areas such as drop-off areas at railway stations and airports and to mark out parking bays on tarmac car parks instead of white lining. Large areas of commercial block paving are normally machine laid and cluster sizes of blocks on pallets are optimised according to block dimensions to improve laying efficiency and maintain pattern consistency.